Twitter-owned live-broadcasting app, Periscope, was updated in the App Store last evening with half a dozen new features and refinements aimed at improving the usefulness of video replays whilst improving content discovery with new tools such as an-all new Trending section to help you find content from popular broadcasters. Pericope also has a tvOS app for the new Apple TV and recently refreshed the iPhone version with muting, Handoff support, instant replays, finding location-enabled broadcasts, verified badges, Follower Only mode, Global section and more. If you own an iPhone 6s or iPhone 6s Plus, press Periscope’s Home screen icon firmly to access these handy shortcuts: Broadcast (Public), Broadcast Mutuals (Private), Teleport and Search People. You can now skip ahead when watching a replay by touch and holding the screen and find location-enabled replays published in the past 24 hours on an embedded world map. The new Trending section in the People Tab helps you find popular broadcasters, with thumbnails for live broadcasts now reflecting what’s currently happening in a clearer manner. Skip ahead in replays: When watching a replay, press and hold to instantly jump into any part of the broadcast. Maps 2.0: Replays with location turned on now appear on the map, giving you a 24 hours perspective of any specific geographic location. Zoom further into an area to reveal more broadcasts. New “Trending” section in the People Tab highlights an evolving list of recently popular broadcasters. Application Shortcuts for people with an iPhone 6s or 6s+. 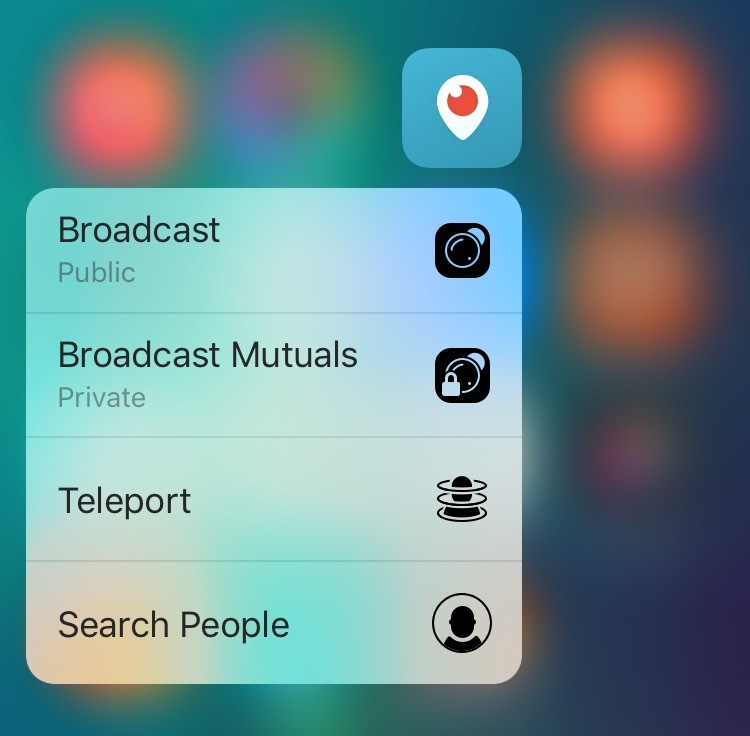 Use 3D Touch on the Periscope icon to start a broadcast, search for broadcasters, or teleport somewhere in the world. Thumbnails for live broadcast update periodically to more accurately reflect what is currently happening. Fixed a bug that would occasionally upload the wrong picture when sharing a screenshot capture on Twitter. 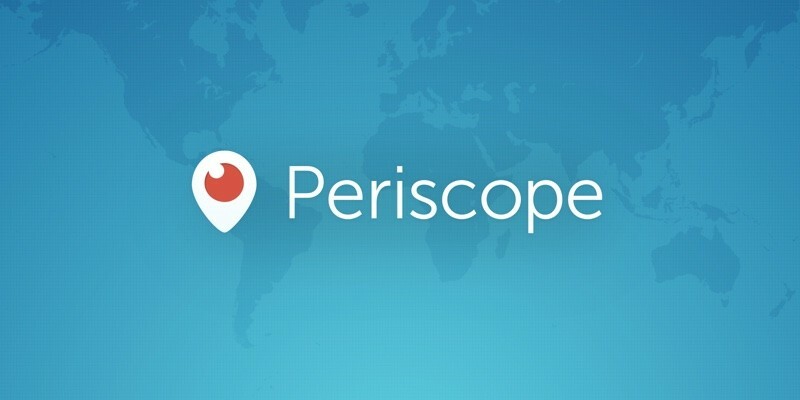 Periscope requires an iPhone or iPod touch with iOS 8.0 or later. The app is localized in English, Arabic, Bokmål, Norwegian, Catalan, Czech, Danish, Dutch, Finnish, French, German, Greek, Hebrew, Hindi, Hungarian, Indonesian, Italian, Japanese, Korean, Malay, Norwegian Nynorsk, Persian, Polish, Portuguese, Romanian, Russian, Simplified Chinese, Spanish, Swedish, Tagalog, Thai, Traditional Chinese, Turkish, Ukrainian and Vietnamese. Grab Periscope for free in the App Store.